Mix all the ingredients in a bowl add a little water to get a thick batter. Grease a flat-bottomed vessel with oil and pour batter into it. Steam it, or pressure cook without its weight for around 20-30 min over a medium heat. The skewer inserted in the middle should come clean when it cooked properly. Let it cool properly before you UN moulds it. Cut it into desire shapes. Heat 1 tbsp oil in a non-stick pan and cook both the sides till they turn golden brown and crisp. 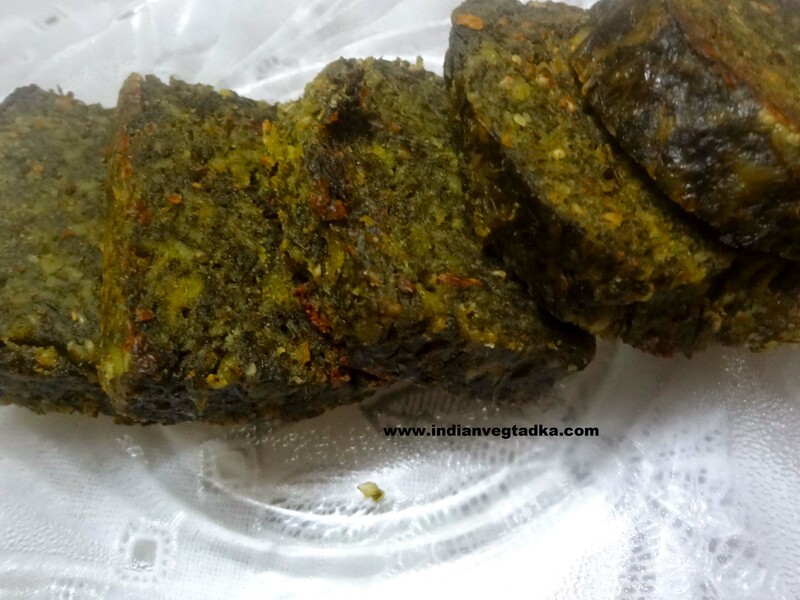 Serve kothimbir vadis as snack with any chutney or sauce.